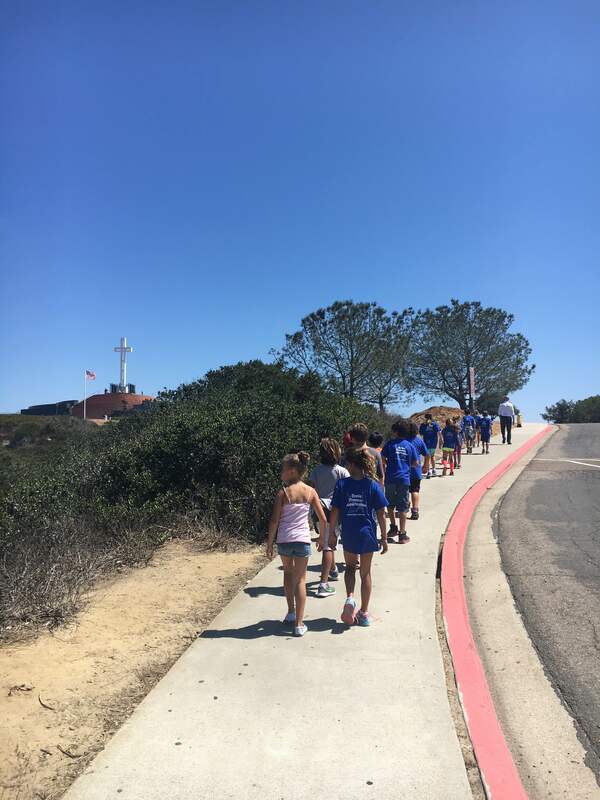 SDFAS Elementary School Blog. Welcome! Bienvenue! This is the end of the first trimester. This means that students from 1st to 3rd grade have been exposed to music from Brazil or South Africa. 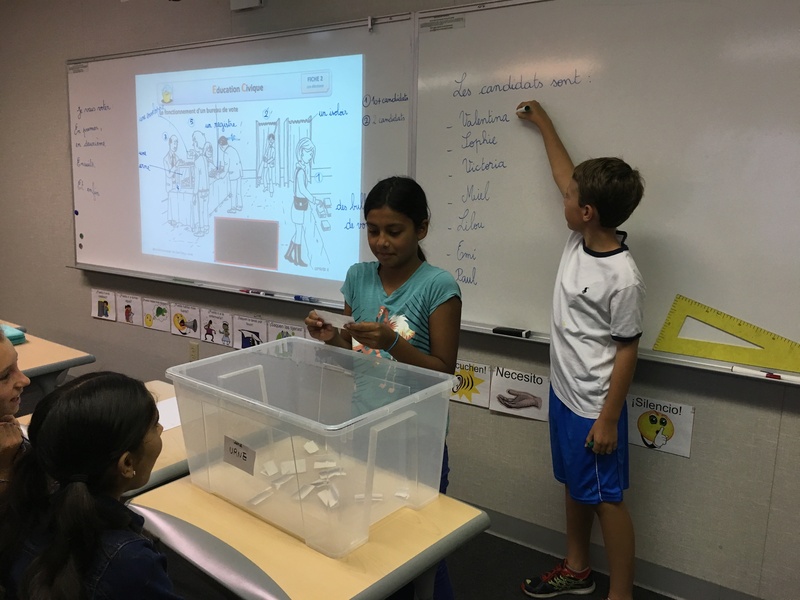 Students in 4thgrade worked in theater. It is now time to present to parents. The auditorium has been very busy the past few days with presentations from the music and theater programs. Parents enjoyed the presentations of the Brazilian and South African music program in 1st, 2nd and 3rd grade, and the theater in 4th grade at the Forum this week. Do not miss the Winter show next week, Friday at 10:30 am! In 1st grade students start to work on different topics in Science. They manipulate, observe, make assumptions, draw and understand. The Science program is an important part of our curriculum, from 1st to 8th grade. 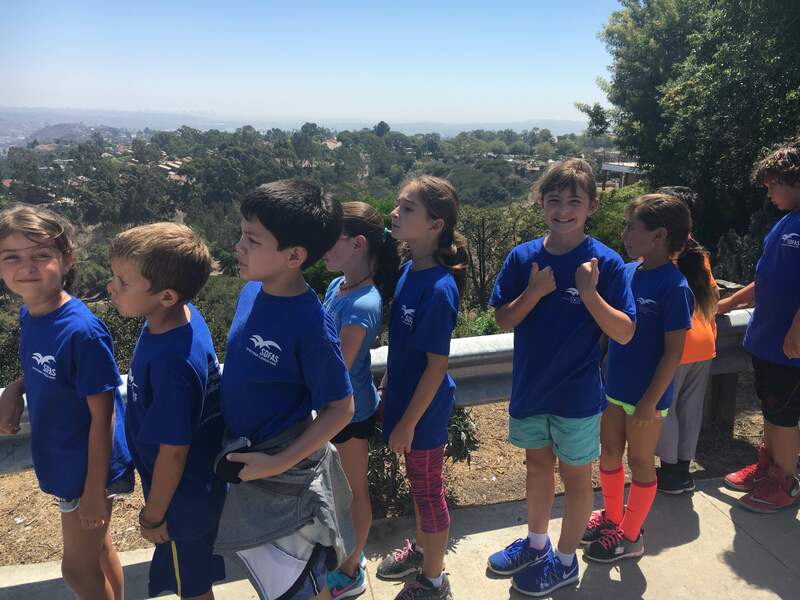 Learning Geography at SDFAS is really easy since families come from all over the world. We just need to talk about where we are coming to go on a trip in our imaginations! This is what the 3rd graders did today when they presented during the Forum about the countries, cities and states they come from. From Asia to America through Africa, all continents have been visited while listening Mariachis, Frank Sinatra or “yodeling”. 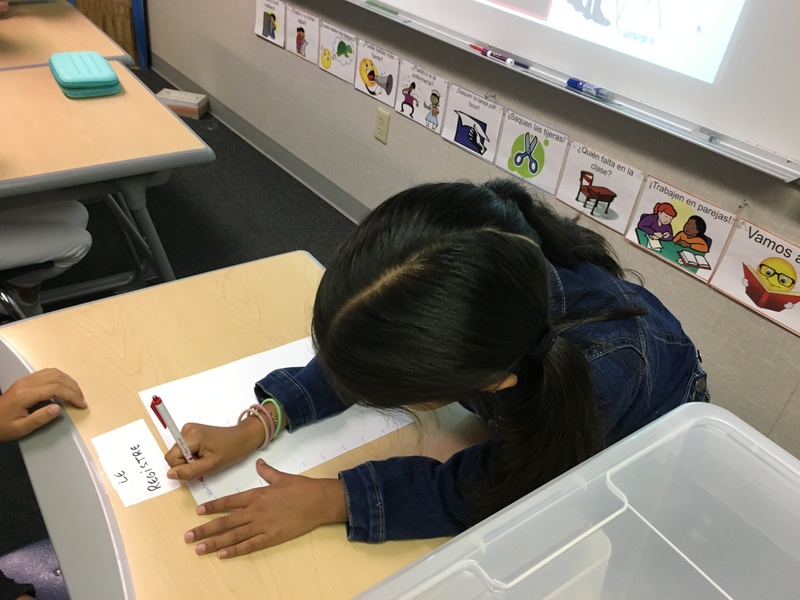 The students in fourth grade have started learning how to relate multiplication and division through the use of arrays. We were able to use the pattern blocks to demonstrate our understanding of building arrays. The students always benefit from having the opportunity to manipulate in mathematics! So a big thank you from us for your donations! 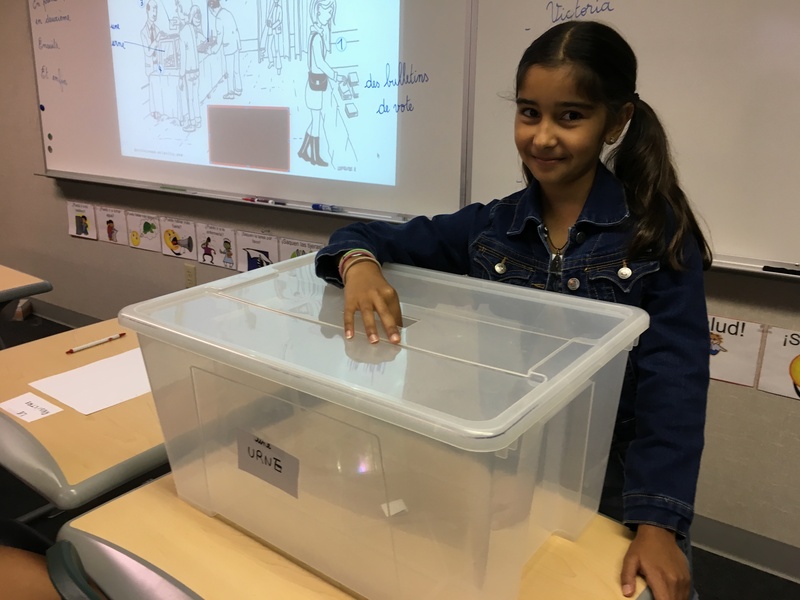 Last week, 1st graders began working on robotics with François Tregouet. 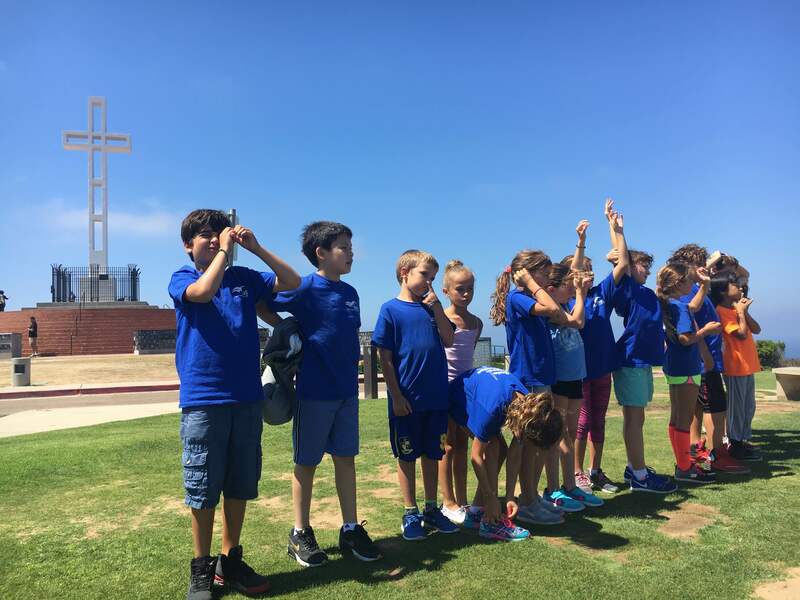 They will enjoy this activity until December break. They are learning how to code, but they also count, add, subtract, and communicate using a precise vocabulary. The second graders presented a promo bout the 7 continents on Earth. We learned about some of the special features of each continent and the differences in their size. The students worked together to create maps or each continent. After the study of the first humans and how humanity evolved, students had a virtual visit of the Lascaux caves. Located in the southwestern of France, Lascaux caves are among the most famous paleolithic caves in the world, and are particularly known for its paleolithic paintings. We saw that the scenes were in relation with the hunter-gatherer way of life and that most of the paintings represented the bush meat. This year, the United States and France will elect a new President. Teachers took this opportunity to organize more formal delegates election, working on civics and specific vocabulary. 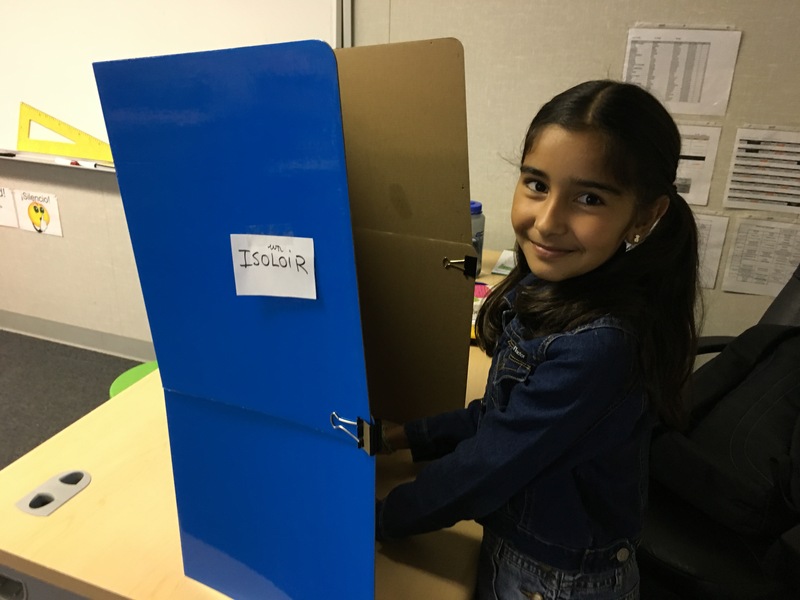 Valentina is choosing her delegate behind the voting booth. Also, she has to sign the register. 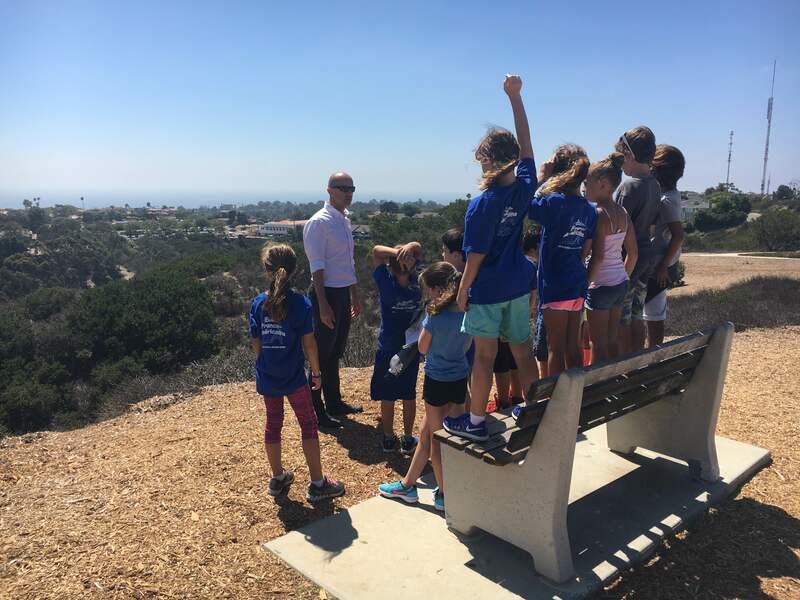 As part of the Geography program, the 4th graders walked to the top of Mount Soledad in order to observe and make comments about the location of the school. Canyons, mountains, ocean, coast, residences… a long list of vocabulary was visually noted and understood.